Silk Road Bitcoin Auction Winner Announced! Who is It? You are at:Home»Bitcoin Values»Silk Road Bitcoin Auction Winner Announced By U.S. Marshals’ Office! Who is It? 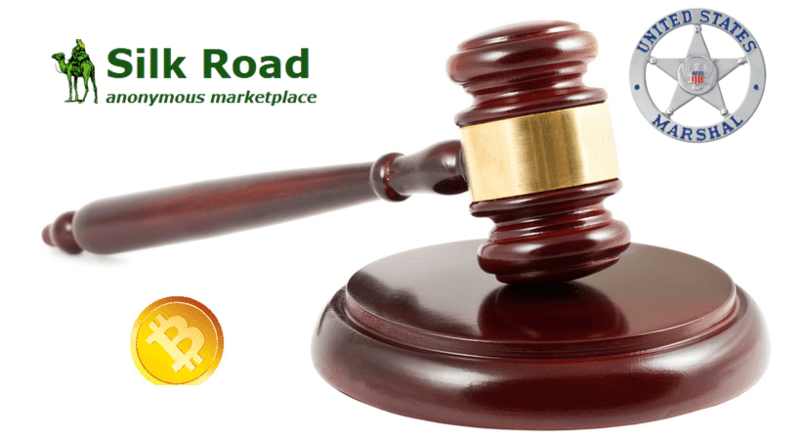 Silk Road Bitcoin Auction Winner Announced By U.S. Marshals’ Office! Who is It? “With the help of Vaurum and this newly purchased bitcoin, we expect to be able to create new services that can provide liquidity and confidence to markets that have been hamstrung by weak currencies. Of course, no one is totally secure in holding their own country’s currency. We want to enable people to hold and trade bitcoin to secure themselves against weakening currencies.” he continued. 30,000 Bitcoins seized from the illegal drug marketplace Silk Road has been auctioned by the United States Marshals’ Office and a single winner is declared! The bitcoin auction went live this week and the office announced on Tuesday that one won all the bitcoins for $19 millions. The Fed is reported to be in possession of 174,000+ bitcoins taken from Silk Road. Steven Englander, a research analyst with Citigroup states a few weeks ago that “Selling Bitcoin with its somewhat liquid market is not the same as auctioning off a 1998 Chevy with a couple of bullet holes in the driver’s door.” It seems the Fed has proven Mr. Englander wrong as the auction went smoothly and sold quicker than most expected. Lynzey Donahue, a spokeswoman for the Marshals Service Office put out a statement today that read “The U.S. Marshals Bitcoin auction resulted in one winning bidder. The transfer of the Bitcoins to the winner was completed today.” The winner so far has remained a secret. At the speed information is traveled over the internet these days, we expected the anonymous winner to be revealed within soon. The United States Marshals’ Office posted a statement on their website saying it will reach out to both winners and losers of the bitcoin auction on Monday by 5 p.m. Eastern time and gave the Silk Road bitcoin auction winner 5 p.m. on Tuesday to transfer the fun the the office’s account. Even though the Silk Road bitcoin auction winner is not yet identified, we have identified some of the losers of the bitcoin auction! Pantera Bitcoin, the Bitcoin Shop and Coinbase, Rangeley Capital and Alex Waters at CoinApex are some of the big names who bid for the Silk Road bitcoin auction. We reached out to all of them and all claimed they are not the winner. “While we are disappointed that our syndicate did not emerge as a winner in the auction, we are pleased to see such strong interest from other bidders,” Barry Silbert, chief of SecondMarket, said in a statement on Monday. “The auction was a clear success and the result quite positive for Bitcoin.” Mr. Silbert said his syndicate had received 186 bids from 42 bidders. The Marshal’s office reported that forty-five(45) registered bidders took part on the Silk Road bitcoin auction with sixty-three bids placed. The price of bitcoin continues to climb higher on news of the auction’s success. According to CoinDesk’s Bitcoin Price Index, a single bitcoin price reached $655 early Tuesday! That’s a $16 increase from $639 on Monday. Who’s the Silk Road Bitcoin Auction Winner? The Marshal’s Office has not yet made the Silk Road bitcoin auction winner public and the winner has not yet come forward to reveal him/herself. We are still digging for the winner and will inform our readers as soon we find something!